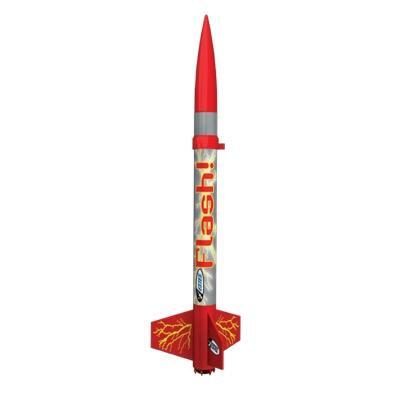 In a "Flash" you will have this rocket ready for the launch pad! No paint or glue is necessary which means more time for fun! Powered by standard Estes engines, this quick build rocket reaches heights of over 925 feet! 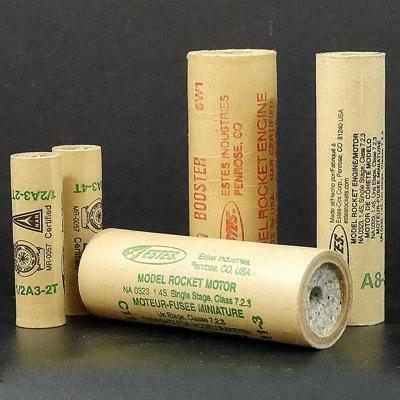 High performance model rocketry at a moderate price. 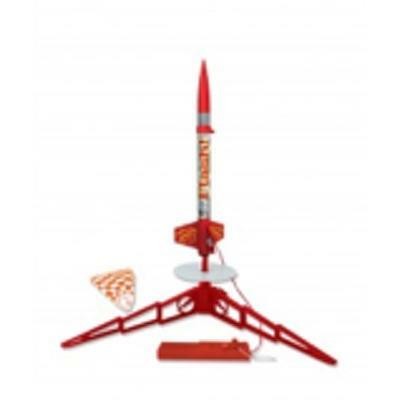 The 16 inch FLASH is a great addition to the Snaps line of model rockets from Estes. You can experience the thrill of building and flying your own high performance model rocket without the need for gluing or waiting. The FLASH rocket kit literally “snaps” together in minutes with the uniquely molded fin set. 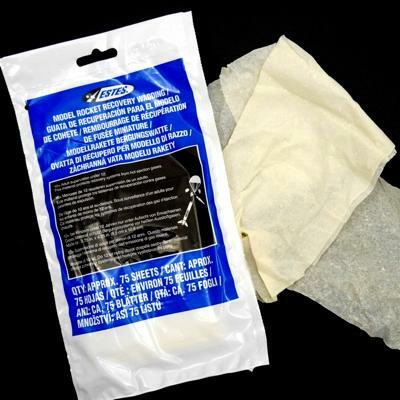 The pre-colored body tube attaches easily and the die cut decals are a breeze to apply. In just minutes you will have built your 1st model rocket that will look like it was made by a pro! Ease of assembly is just one of the great features of this set. The main feature of the FLASH is the sleek, drag defying design that provides high performance, cloud punching flights over 925 feet on standard Estes engines. Each Flash Launch Set comes complete with a wicked looking FLASH snap together model rocket kit and our super reliable Estes Launch System. LAUNCH SYSTEM includes Porta-Pad II Launch Pad and Electron Beam Controller.